- Forum Systems takes the top spot in Product Leader and Innovation Leader categories. In today’s modern architectures API’s have become the primary channel for business transactions, and in most cases are the primary path for data exchange. As you grow so do the number of partners that transact with you making your API gateway the most critical part of your enterprise infrastructure. 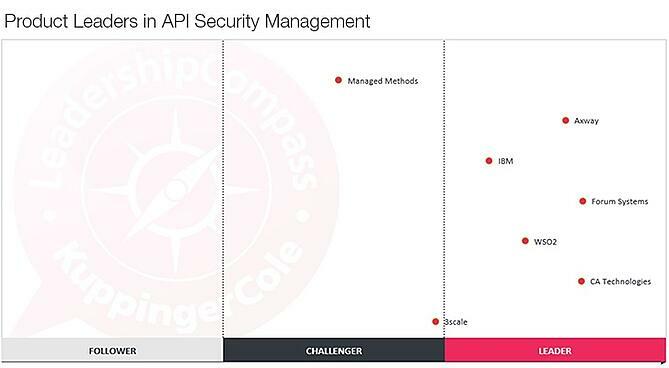 This report provides analysis of API Management solutions with a strong focus on security features. This Leadership Compass will help you to find the best solution that addresses your requirements, while maintaining the highest level of security and threat protection.